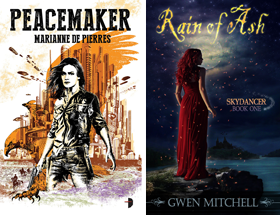 In her most recent newsletter, Rachel Caine showed off the cover to Ghost Town, the ninth Morganville Vampires book due for release in November. Book 8, Kiss of Death is out next month. Rachel also revealed that her publisher has agreed to at least 12 books for the series. Also of note is that Ghost Town will be the first of the books to be released as a hardcover. The fragile peace between humans and vampires in Morganville is in trouble, and when Claire takes drastic action, she's put under serious pressure to re-establish the barriers that keep the town residents inside, and wipe the memories of those who leave. But working with her half-crazy vampire boss Myrnin means that things don't always turn out as planned ... and as the people of Morganville begin acting strangely, Claire and her friends must solve the mystery and try to put things right. But one by one, her allies are turning on her ... even the ones she trusts most. awesome. thank you for letting us know. 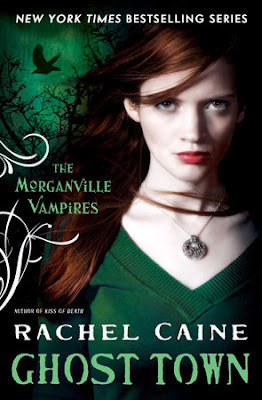 So, is Rachel Caine contracted for another 12 'Morganville' books, or 3 more since 'Ghost Town' will be book #9? This is all great news! And coming out in Hardcover. Ooohhhhh. Fancy. I feel her covers get more and more beautiful with each new book - although I would have preferred her to keep her books in the paperback format. I like all my books of a same series to be the same!